Denne bog er en kommenteret facitlisten til Øvebog i dansk for udlændinge. --AND--lt;p>Facitlisten giver dig de korrekte svar på øvebogens opgaver samt forklaringer på, hvorfor det forholder sig som det gør. Facitlisten kan med sine mange oversigter og skemaer bruges som et lille opslagsværk, der er let at anvende pga. indekset bagerst i bogen. 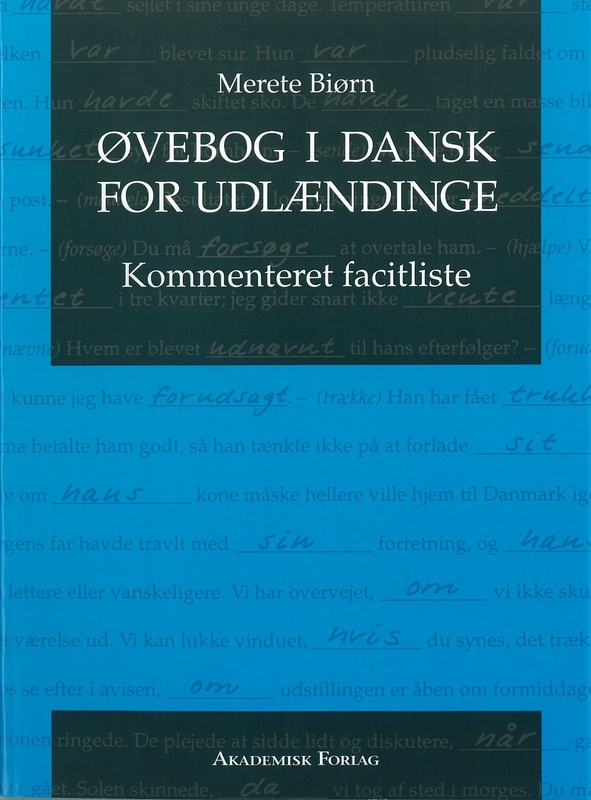 This book is a list of answers with additional comments that accompanies Øvebog i dansk for udlændinge. The list of answers provide you with the correct answers for the exercises in the Exercise Book accompanied by explanations of why those are the correct answers. The many summaries and schedules enable you to use the list of answers as a small reference book, made easily accessible due to the index at the end of the book.